under a large timber frame structure attached to the front entrance to the hotel. We were going to "just check it out" and we ended up "checking in!" We loved the amazing views, the ambiance of the hotel and the very helpful staff. When we checked in, we were about to ask for a balcony view when we overheard the receptionist tell the person in front of us that every room has a private balcony and a view!! Once inside the expansive open area, we were awe struck. 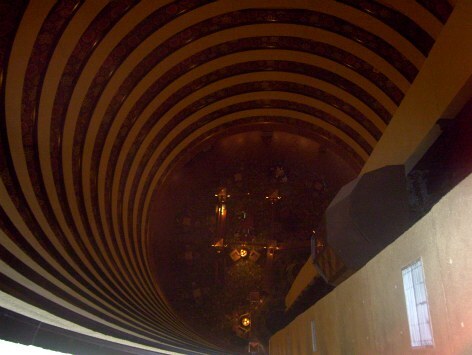 In this beautiful lobby, you can look straight up and see 15 floors of open atrium. What a sight! We really loved the feel of the open design and the big glass elevators. We especially took advantage of the entire lobby area with its large TVs, reading area and several computers for the guests just sitting all out in the open. We also spent some time just relaxing on the comfy chairs and taking in the view and the bird aviary. They also offer a small, but very nice bar area in the lobby. The bath area counters were granite and the rich warm room colors were so pleasant. Opening the curtains to the balcony confirmed our reason for staying here. The panoramic view was spectacular. We saw the Smoky Mountain National Park as well as Gatlinburg. We were taking in the views remembering that a few short hours ago we were stuck in traffic and couldn't find parking in the city. 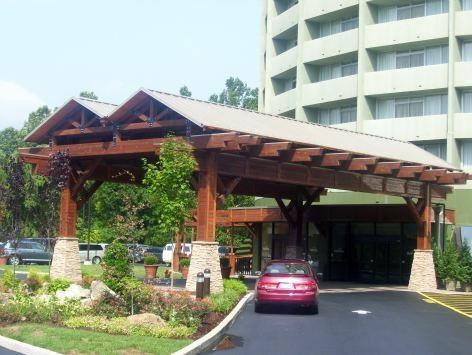 The Park Vista Hotel Gatlinburg has a feel of an upscale, serene hotel, but seems to cater to all ages including kids. We checked out the pool area and much to our surprise it was beautiful. It had been landscaped to look like it was outdoors, with a waterfall, rock, stones and plants...all inside! 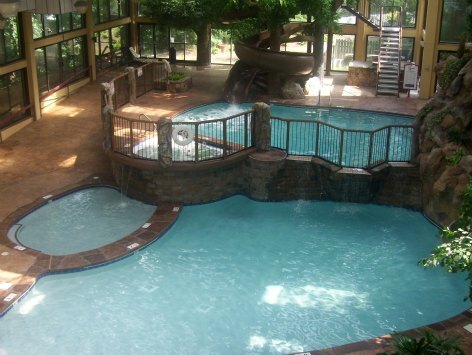 The area actually had several separate pool level areas with water slides for the kids. How fortunate the guests of Park Vista Hotel Gatlinburg are able to ride the city trolley for a nominal fee, and it stops right in front of the hotel. Plan accordingly because it only makes stops every 20-30 minutes in front of the hotel! The staff was extremely polite and always willing to answer our silly where is this and what are questions. Plus, we won't forget the delicious chocolate chip cookies that are complimentary and offered to us on several occasions. For us, staying at the Park Vista was worth every penny and every minute. The multimillion dollar renovation was gorgeous. 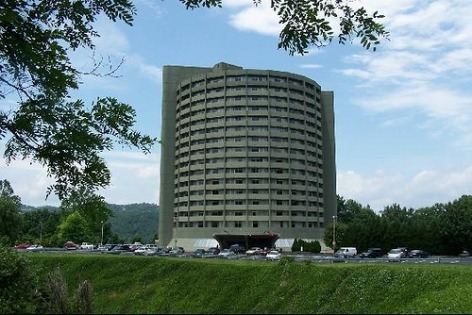 Next time we visit Park Vista Hotel Gatlinburg, it will be in autumn so we can take some amazing views and photos of the leaves changing colors.